We are back from the 2019 Cannabis Science Conference East held at the Baltimore Convention Center, Baltimore, USA. Over 1,500 attendees participated in the three-day semi-annual event to share their knowledge and latest innovations with each other with the objective of improving cannabis science. The conference agenda was divided into three main tracks, analytical, medical, and cultivation. The event started with a welcome note by Joy Strand, Executive Director, Maryland Medical Cannabis Commission. We exhibited and showcased our ISO/IEC 17025:2017 compliant Cannabis LIMS purpose-built for cannabis testing laboratories. We demonstrated the role of CloudLIMS in managing cannabis test data, sharing Certificates of Analysis (CoA) and invoices with customers, and meeting ISO/IEC 17025, local and state regulatory guidelines. 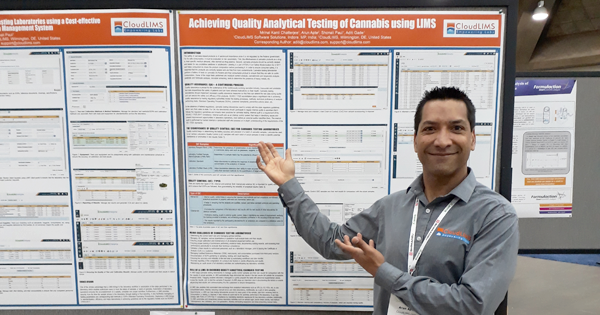 We presented two posters titled â€œAchieving Standardization and Efficiency in Cannabis Testing Lab using Cost-effective Cloud-based Laboratory Information Management Systemâ€� and â€œAchieving Quality Analytical Testing of Cannabis using LIMSâ€�. You can download both the posters from the resources section of our website. 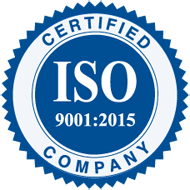 The posters illustrate the significance of a Laboratory Information Management System (LIMS) in achieving standardization, minimizing turnaround time, and in meeting the quality standards in cannabis testing laboratories. Cannabis Science Conference is one of the worldâ€™s largest cannabis science expo. The participants include cannabis industry experts, testing laboratories, research scientists, medical practitioners, instrument manufacturers, policymakers and interested novices. There were keynotes from renowned speakers, informative oral and poster presentations, engrossing medical and scientific technical sessions, academic cannabis sessions, round table discussions, and exhibitions. If you missed the chance to meet us in person, you can schedule a meeting with our experts to see how CloudLIMS can address the data management, automation, or regulatory challenges of your cannabis testing laboratory. Is Your Clinical and Biobank Data Compliant and Secure with a Cloud-based LIMS? Why Should Cannabis Testing Labs Consider Laboratory Informatics Solutions? Cloud Based Healthcare is Slow to Change, but it's Happening!